Microsoft recently added 'Ask Cortana' support for images in Edge. Here's how to use it. 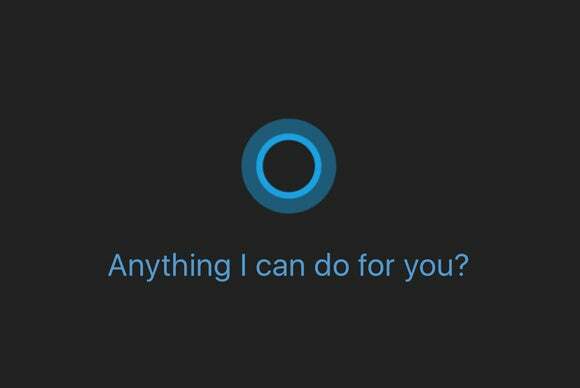 Microsoft recently added a neat trick to Cortana integration in Microsoft Edge. Now you can use Microsoft’s digital assistant to get added context for images and not just text. When we first took a look at Edge we explained that if you were watching Pixar’s Ratatouille, for example, you could highlight the title and have Cortana tell you what ratatouille actually is. Now, you can do something similar with images. Open Edge and then click on the three horizontal dots in the upper-right corner and select Settings from the drop-down menu. On the next screen, scroll down to the bottom and click View advanced settings. Then, under Privacy and services make sure Have Cortana assist me in Microsoft Edge is on. Cortana in Edge can provide more information about images you find online. Now, we’re ready to go. Let’s say you’re looking at espresso machines on Amazon, and you want to know if you can get a cheaper price on eBay. Right-click the image, select Ask Cortana from the context menu, and then check out the information that appears in the Cortana panel on the right. 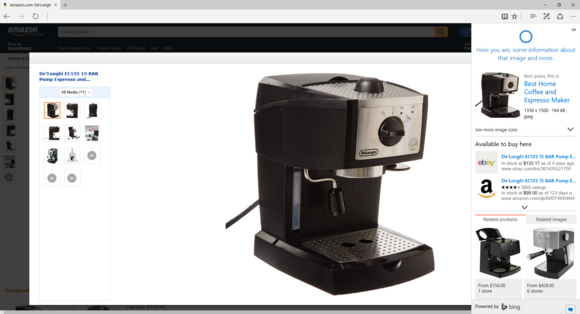 In my test case involving a DeLonghi EC155 espresso machine, Cortana had no trouble finding the same model and a link to the machine on eBay. The panel also had links to other places the image was found online and similar products. Those are the basics of using the Ask Cortana feature in Edge. You don’t have to stop at products either. Cortana can help you identify famous people, food, and cars. Microsoft’s digital assistant won’t always get it right, but more often than not you’ll be able to get more information about an image from a single right-click.